Challenging injustice can be hard. Challenging injustice when you’re severely disabled, like Pamela Coughlan, requires extraordinary courage and determination. Pamela Coughlan’s legal victory in securing NHS Continuing Healthcare for herself has since helped thousands of families with elderly relatives to also find the courage to fight for what they’re entitled to – and force the NHS to provide free care. Many families are still fighting that battle and still face many obstacles. However, thanks to Pamela Coughlan they can refer to the ‘Coughlan test’ in their legal argument for the entitlement to care fees. For this and for everything she went through during her case and beyond, Pamela Coughlan deserves our gratitude. In the 1970s Pamela Coughlan was paralysed after a road accident and needed full-time care. She had severe physical disabilities including partial paralysis of her respiratory tract. At the same time, however, she could still speak coherently and with mental clarity, use an electric wheelchair by herself, use a computer with voice technology, and eat and drink with some assistance. Her care was financed by the NHS until, in the 1990s, the East Devon Health Authority) transferred responsibility for her care to Social Services. By reclassifying her needs as ‘social’ care rather than ‘health’ care, this meant she would now be means-tested and have to pay for her own long-term care. The Court agreed that the actions of the local authority had been unfair and that the NHS had not followed its own guidance. It stated that the NHS had reneged on its promise to provide long-term care, used inconsistent eligibility criteria and had consequently made unlawful decisions. The key question was whether nursing care for a chronically ill patient can lawfully be provided by the local authority as ‘social’ care (means-tested) or whether it must be provided free of charge in law by the NHS. In Pamela Coughlan’s case, however, the Court of Appeal ruled that her nursing care was the responsibility of the NHS, not the local authority. The Court also raised the issue of people with needs that are chronic yet stable – as opposed to people with acute conditions. The NHS should address chronic yet stable needs as part of a Continuing Healthcare assessment process. The NHS should also not assume that just because a need is ‘stable’ it is automatically the responsibility of the local authority. Pamela Coughlan’s needs were greater that those for which the local authority could be expected to provide care. As a result she was eligible for NHS Continuing Healthcare. The ruling also indicated that it would therefore be logical that anyone with needs the same as or greater than Pamela Coughlan should also be eligible for NHS Continuing Healthcare. This became known as the ‘Coughlan Test’. Continuing Care assessors will often say that the Coughlan case is ‘old’ and therefore doesn’t count anymore. They also often say that the rulings in this case are no longer relevant. Both statements are incorrect. Assessors must still decide whether or not a person’s care needs fall above or below the legal limit for local authority care. If they fall above that line, the NHS must fund care through NHS Continuing Healthcare – and no means testing should take place. Read more about the local authority’s role in NHS Continuing Healthcare. The judgment also concluded that the ‘vast majority’ of people in nursing homes should have their care fees NHS funded, and that only if someone’s health care needs are ‘incidental’ to their overall care needs should the responsibility be passed to Social Services. This is now known as the ‘Primary Health Need Approach’ and it is applied in all assessments for NHS Continuing Healthcare. It came about in 2007 as a direct result of the Coughlan case. However, there is no definition in law of a Primary Health Need. It means that a culture has developed where NHS funding assessors seem to apply their own subjective interpretation of the guidelines onto funding decisions. The result is that many tens of thousands of people are still illegally charged for healthcare and nursing care in the UK. The guidelines in question are known as The National Framework for NHS Continuing Healthcare. Introduced in 2007 and revised in 2012, they were supposed to streamline the Continuing Healthcare eligibility criteria nationally. However, there is a legal argument that suggests if Pamela Coughlan’s needs were measured against this National Framework, she would be found ineligible for NHS funding. This indicates that the National Framework itself could well be illegal. The law, however, is clear: Pamela Coughlan does qualify for NHS Continuing Healthcare. Find out how our step-by-step guide through the Continuing care assessment process can help you. Does the National Framework replace the Coughlan case in NHS Continuing Healthcare? Read about the Grogan case. My dad has been diagnosed with PSP, and is currently in a care home. He has been awarded NHS continuing healthcare, but for 680 a week- when the fees for nursing care is about 1500. This means that we will have to pay for the rest of the care- is this right?? I have been told that NHS contiuining healthcare should pay 100% of it. He needs 24 hour care. We are a bit confused by the process, and I feel my mum wasnt fully informed of the process- I was not there at the meeting unfortunately. wow these comments are hugely helpful. we are in the process of appealing a declined case of CHC for my father who has advanced stages of frontal lobe dementia, and is without doubt the worst (condition wise) in his care home yet we find that several other residents have somehow qualified for funding!! he cannot talk, stand, walk , eat by himself, or understand a single thing! we will fight to the biter end for justice ! Hi, I should be grateful if someone could offer me advice please. I am primary carer for a relative who suffered a stroke approx 30 months ago. This left him paralysed with many other co-morbidities. He has been diagnosed with terminal cancer and requires the care of a nursing home 24 hours a day. A social worker – decided he has capacity to decide to leave his self-funded nursing home and return to his house. No-one else lives at his house and he will need 24 hour nursing care. Will this move entitle my relative to be re-assessed for NHS Continuing Healthcare (CHC) at home? After his stroke, my relative asked to move from the hospital to be closer to me. Since his terminal cancer diagnosis he wants to go home (130 miles away). I am a carer for another relative and work full time which means this isn’t possible. but I couldn’t complete the sale when I ended up in hospital (sepsis). CHC assessments are not once in a lifetime assessment. When needs change a further assessment can be completed. Also depending on the Terminal cancer this can come under End of Life but would need an appropriate clinician to determine prognosis. Estimated time left measured in weeks, however this is not required by the National Framework for CHC. It has recently been updated in 2018 stated just because a need manageable it is still a need. So if he’s needs have increased he would be entitled to a further assessment taking into consideration past wishes. At our Decision Support Tool (DST) assessment the CCG assessor told us that comparison against legal benchmarks (e.g. Coughlan) was not something she was expected to do, as the “Clinical Verifier” would do it as part of validating the recommendation. The Social Worker told us her NHS Continuing Healthcare (CHC) training focused on the DST and did not include details of the Coughlan case. When pressed about why the LA was taking legal responsibility, she said mother-in-law was a self-funder and didn’t want to be quoted on the LA being responsible in the longer term. Despite lack of knowledge on Coughlan, both members of the Multidisciplinary Team (MDT) made a recommendation of ‘ineligible for CHC’. The documentation we submitted prior to the assessment includes a nursing needs comparison based on ‘PAMSDAY’ to prove eligibility for mother-in-law who suffered a near-fatal stroke after five years of Alzheimer’s. Her problems include right-sided paralysis, unable to speak, limited understanding, double incontinence, partial dislocation of right shoulder, contractures and she needs supervision with all food and drinks due to the risk of choking. However, still the final DST decision says there is no primary health need. I should add it has taken nearly six months to get from initial Checklist to final DST decision. There seem to be so many things wrong here. What’s the best way to tackle this? My care agency stopped providing care in April 2016. And I have to arrange this myself. I am now in a bad state. Low savings left. Wife and friends and relatives are what I survive on and suffer. I say I will only accept social care and I really should be health funded. A court should decide.The min of Justice awarded me 100% disabled injury. Paraplegia, enuresis and skin lesions, daily bowel care etc. Home to be adapted etc. This is holding things up. Please advise. Are people aware of Pamela Coughlan’s signed Daily Nursing Regime? I am astounded to find her needs are SIGNIFICANTLY less than my dad’s……. My 77 year old mother fell and broke BOTH her ankles and a knee at home. She was discharged from Hospital into a local care home after treatment on her legs and told due to her savings she would have to pay for her aftercare. The initial home she was sent to didn’t even have a suitable room or hoist to get her to the toilet, and my sister had her moved to another home which has more suitable facilities. However, she is paying £580 a week from her savings, and having only read a couple of the links i think due to the fact that she is completely immobile at the moment the NHS shouldn’t have discharged her in the first place, or should be paying for her aftercare. She’s been there seven weeks and I now know she should never have been discharged and an assessment for Continuing Healthcare should have taken place. Hi Michael, how are things? I would say that on your mother discharge that the NHS & Local Authority (CHC/CCG) would or should have carried out an assessment which also should included a ‘needs portrayal’. there are only 2 levels of lawful responsibility of care being NHS or Local Authority. Section 22 of the Care Act prevents the Local Authority form being involved if your mothers care was beyond their lawful ability to get involved. If it was me I would be asking what level of healthcare the Local Authority could provide i.e in our case 2 carers to visit twice daily should their been discharged home as anything more i.e a nursing care home (as I understand it) would fall to the responsibility of the NHS ( Grogan & Coughlan case law). s.22 of the Care Act. These provisions prohibit local authorities from providing or arranging for the provision of ‘nursing care’ . Commissioning Groups (Responsibilities and Standing Rules) Regulations 2012 (‘the 2012 Regulations’) established “Standing Rules” on NHS Continuing Healthcare and NHS Funded Nursing Care. Those rules define CHC as “a package of care arranged and funded solely by the health service in England for a person aged 18 or over to meet physical or mental health needs which have arisen as a result of disability, accident or illness” (Regulation 20). So, Id be looking at the hospital discharge sheet (was your mother assessed/discharged as an externally transferred patient into a NURSING care home?) and insist upon the ‘needs portrayal’ assessment (you also need to look and understand NHS standard scoring -(accepted evidence under the current NHS National Framework) look for MTS, Bathel, Prideaux nutritional risk assessment and Norton assessment) as all of these should work in you favour in evidencing if your own case should be funded by the Local Authority or the NHS. Hi, I could really do with some advice on how to proceed with my parents case. He was diagnosed with early onset dementia 13 years ago and has been in a care home for 6 years and has received full Continuing Healthcare (CHC) funding up until now. He has recently been assessed and is deemed not severe enough to receive the full amount, so will only be given £150 a month towards the fees of the home. We felt that the assessment was rushed and we as a family did not understand the procedures. As he had full funding up until now, we did not feel we had to be on our guard. My father can’t walk, needs a winch to be transferred from bed to wheel chair, talk or feed himself. He is doubly incontinent, has lost a lot of weight, has had pneumonia, has arterial fibrillation, and skin lesions that can become infected without very regular monitoring by the staff at the home. We have been told that dad’s needs are social rather than health and has been passed onto the Local Authority. As a result of this, Mum has been told that she will be losing half of dads work pension and all of his government pension, which does not leave her with much, as he had to retire early due to ill health. He does not have any savings and the assessment has not taken into account the bills she has to pay each month (She is very frugal anyway! – but she is now potentially going to struggle). I feel that the assessment that was made by CHC looked at dad’s needs after care, not the raw conditions. If left without nursing he would be unable to survive on his own, but the nurses are able to manage his conditions well – therefore CHC have decided that he is not severe enough to get full funding. We have an appeal hearing. have you got any advice on how we can move forward and be prepared to fight this please? Hello…would really like some advice please. Mum aged 83 was discharged from hospital into a nursing home after having survived an infected pressure sore and sepsis – 70% mortality rate. No one will accept responsibility for the pressure sore and despite her care home being the only one who would take her back, there’s no way we wanted her to go back there. So her discharge was delayed until we finally found somewhere more local to the hospital…meaning that she was paying for a service at the old care home that she wasn’t getting because we were told by Social Services that if we stopped the direct debit she would effectively be rendered ‘homeless’. Can they do that? Or could we get them to pay for the delayed discharge? Also, we now have a Continuing Healthcare (CHC) meeting due…she has end stage dementia, can’t eat, drink by herself, move, use the toilet and is mostly bedridden. The pressure sore has, we are told, mostly healed. I just want to know whether we stand any chance at all of getting the CHC. Any advice appreciated. Thanks. As to responsibility, get medical records and home files with SAR under the Data Protection Act (DPA). Ask all involved how they have met their duty of candour in this matter then google a local personal injury solicitor. Hope the march meeting went better. My 88 year old father has vascular dementia, after a very lengthy and acrimonious fight, I managed to get 24 hour care for him at home. I was his main carer, but my health deteriorated and as I live 22 miles away, the travelling was stressful too. I was given the care for him, on condition that I still do 12 hours per week (free of charge), they have said I can have 12 hours a year holiday. My issue is, that they are only paying £14 per hour, the company I had already approached for my Dads care, prior to the agreement with the CCG, charge £15.50 per hour. This has meant that we are having to pay £211 per week, towards his care. Although, no top ups are allowed. I am also having to go back to work, as my savings have been used up over the last 4 years looking after Dad. My Mum has alzheimers and is in a Nursing home, they expected me to pay £159 per week, but I flatly refused as it states no top ups are allowed. Where do I stand regarding the top up for Dad and them saying I have to do 12 hours per week, unpaid? Make sure you know in advance the scores that your relative should be given in any CHC assessment, and how you can back this up. Make sure you receive copies of all assessment docs (Checklist, Decision Support Tool, etc) and that you are involved in the assessments and your input included. Make sure you interrupt and ask questions as much as you need to. No one should expect you to provide care yourself just because you’re a relative. Pick apart all assessment notes and challenge everything you disagree with. Don’t sign anything on the day. Get to assessments early so you can see/hear what the assessors are saying to your relative. Hi Judy, thank you for your reply, it was most helpful. I have to say, that when the nurse called to say mum would come home, after i put the phone down, i just balled my eye’s out for around 2 hours. No one ever considers the carer, just the cared for. I have sat all day gathering information on the subject, thanks to this forum i have made many bullet points, noted all the (legal) acts that the assessors must adhere to, and have a huge list of questions to ask them and are the people doing the assessment properly qualified to make it . I am now fighting to protect my own sanity, not just for mum, to be given the NHS CHC . I wouldn’t mind, but dad worked till he was 72, and both my parents paid into the system, including the NHS, so they are entitled to receive free care as they have paid for it through their taxes. Nowhere in any paperwork, appertaining to the NHS, or CHC , and care in general , is their any mention of having the right to stop caring, so carers just assume that they have to get on with it, and that there is no alternative, which is so wrong. At the end of the day, if a carer cannot perform the duty of care, due to stress or ill health , the NHS will still have to carry that burden, so it’s a bit of a no win situation in the end. I understand that the NHS is under a great strain right now, but they can not take it out on the most sick and vulnerable, the problem lies with the Government. I am 64 next month, i am single, we have a very small family, so it is left to me to care for mum. But I was also helping my daughter with her children, and my other daughter with her family, I have a dog too who needs to be walked. I do everything in the house, diy, the garden, which is quite big, and all the shopping, cleaning cooking, decorating, washing ironing … I am not a machine, yet the so called caring NHS seem to think i am! I don’t even get paid ! for doing it, yet if a carer comes to the house, they get paid … !! I am angry that my mental and physical health are just pushed aside, so they can save a buck or two . I really don’t know what i would of done without this page, and the smashing people that reply to the questions; they, and you, in your replies, have given me the strength to stand my ground in this, and my confidence is growing. The information i now have won’t make me look like a fool with no idea about what is going on at the assessment . I will also inform them that i can no longer care for mum, due to my own deteriorating health. Under the Care Act and (HRA) your rights are equally as important, and the local authority (LA) must look at providing you as carer with an assessment. I am sure there was an issue similar to this recently where the answer is that no-one can force you to look after a relative especially where your health is in question. My mum went to a nursing home . She had 3 daughters but we all had kids, there was no question asking us to do it. Also my neighbour has been a carer for her dad for years but it got too much and he now is also in a home.I think there is an element of assumption because you live with your mum, I am sure this site will shortly provide all the information you need to contest it. yes nurses are pushy because there are under a huge pressure to discharge patients quickly and it is quicker and cost effective if it is back to their own home., wrong I know but it is all about saving money. The respomsible adult rule was repealed wjen the National Assistance Act replaced the old Poor Laws but funny how social services haven’t caught up yet ! Hi, my mum fell at Christmas, and damaged her spinal cord, she now can’t use her hands , she is 91 and has dementia and is nearly deaf. Since being admitted to hospital she has now lost the ability to walk, due the Dr informed me, to the lack of being helped out of bed and walked and moved. He seemed to be very unimpressed by this lack of care. I shared my home with both my parents and cared for them both for the last 12/13 years. Dad died 6 years ago . During the years i took on my parents care, i had suffered a nervous breakdown, and have suffered from depression /panic and anxiety attacks, during this time, it has also started to affect me in other ways like going out of the house, forgetfulness, and not wanting to cook, or continue with the caring role. My own health is slowly getting worse, having now got osteoarthritis, and carpal tunnel in both hands. I have had 3 calls from the hospital in the last two days, one from a social worker /nurse to go to an assessment of mum, and another nurse that informed me today that mum is coming home and we need to sort out home help, care alarms, and carers coming into the house four times a day ! Etc. How can they talk of sending mum home, when she has not been assessed, and the assessors have not heard what i have to say about the situation. I just feel now, that i cannot continue in the caring role, and just feel exhausted. I keep crying at the prospect of having my home turned into some kind of circus of people coming and going all day. My home is not my home anymore, and after 13 years of caring non stop with no respite, i have had enough. 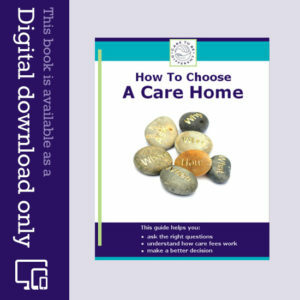 Can i ask for mum to have her care in a nursing home instead of my home? I know it must sound awful and like i don’t want my mum around, but my own health is concerning me now. i feel close to going down that dark place again, and i cannot deal with that or going onto more anti depressants. My life feels like it is over and my head is going to burst. I am struggling to cope with all of this. If i deteriorate any more i won’t be in a fit state to cope with mum anyway. She does not have any money/savings or own her own home. The last nurse that rang me was quite pushy, like her coming home was a done deal. Hi my father has recently been granted Continuing Healthcare (CHC) for 4 weeks then they will reasses him to see if he will continue to get this. I’m not sure what will happen next. The pallitive care have said that they dont expect his health to improve and have written to the discharge team saying this. He is now in a nursing home. He does own his own house but has had equity release on the property. His home will now have to be sold to pay this back but what is left we feel that they may want him to contribute to the home. Is this correct? Julie – if your father is receiving Continuing Healthcare (CHC) then his house and his money re completely irrelevant and no one should be asking him to pay anything towards his care. CHC covers all his assessed care needs, including all the costs of accommodation in a care home. Once CHC has been awarded, it should normally remain in place for at least three months before it is reviewed. After that, It should be removed ONLY if your father’s care needs have genuinely reduced AND if they have reduced to below the level for eligibility. Make sure you’re invited to attend any review, so you can fight his corner for continued CHC funding. My grandfather is 102 and has lived independent all his life apart from the last six months when his health has deteriorated. He was admitted to hospital in March suffering from pneumonia where he spent six weeks. He was discharged into rehabilitation for a furthe six weeks until being discharged back home with a care package. However, this has not worked and he was further admitted to hospital three weeks ago after collapsing at home. He has had several falls whilst in hospital and no longer feels safe being discharged back home. However, the hospital are stating that there is no medical need for him to stay in hospital – although he cannot walk unaided, cannot go to to the toilet unaided, needs help taking his medication, feeding himself, is confused and anxious – and they are forcing him home against his will. He has asked to go into a permanent residential care placement, but the hospital has refused to consider this He has limited savings and does not own his own house. I do not believe that the hospital has followed due process and appears to be treating him as a number rather than as an inviudal. We are stuck where to turn next. Can anyone help ? Hi – after a 6 year battle for my uncles retrospective Continuing Healthcare (CHC) we have been turned down. My uncle had several conditions that impacted on his life. He was admitted from hospital to an EMI unit in a care home until his death; his conditions were Parkinson’s, later diagnosed as Lewy body dementia, Crohn’s disease, Dementia, registered blind, deaf, Angina, Diabetic, Glaucoma, Macular Degeneration and doubly incontinent. He had very unpredictable behaviour, often violent to others and himself, and you could not communicate with him due to his deafness, blindness and his dementia. They has scored him with 4 highs, 4 moderates and the rest low. They have reviewed the GP notes and the care home notes and we had to submit 40 more pages of evidence they had omitted from the records they had received. My question: is it worth getting a copy of his hospital records for the appeal? I will not give up, but how do you get them to understand the complex needs of an individual without more evidence? Carol, I just had to send you a reply as my situation was so similar to yours & I really do feel for you. Both my parents were moved into a Nursing Home close to me in 2001, my Father died a few months afterwards. My Mother who had Alzheimers, lived until 2011, assessments were very rare & I was never called into the home to be present, even though I went to the home @ least three times a week. I am a nurse so do understand how these procedures work & had asked to be present at all official meetings. When she died, the Govt. had set a deadline for applying, so I did so immediately. My Father’s case was dismissed, instantly, even though he had many co-morbidities, & I accepted that decision. I have fought for my Mother’s case since then. A few weeks ago, in August 2016, I was finally invited to attend The PCT’s NHS meeting, & the notes were referred onwards to the decision makers of the PCT. They contacted my Solicitors to say they had dismissed certain years of my Mother’s care, as not applicable, but had agreed to re-imburse the last two years of her life in care. We have heard nothing since then, the solicitors have heard nothing since then. We have not yet accepted their decision, as my Mother’s health was in exactly the same state through the years that the PCT dismissed as it was in the years that they accepted responsibility for. Once we have actually received the payment from the PCT, then we will appeal the “dismissed years”. Reading these comments from other poor relatives, I had though that we were the family with the longest running case in history. My message to you is: keep chasing them all. I had to chase the Solicitors every inch of the way. I have chased the PCT & the assessment nurses on the phone to find out just why nothing is // not happening. It is a tortuous business & the thing that has kept me going, apart from my family & the feelings of wrong having been done — is the fact that the Govt. gave these PCTs all of this money & now they have spent it on other things — it is their duty to find the money to pay for these cases that have just been swept under the carpet. Carol – that’s an appalling delay. 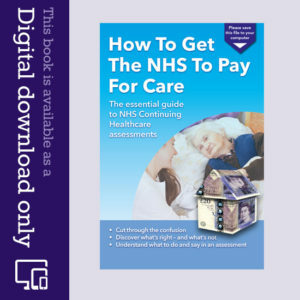 Ask for an Independent Review of your case by NHS England: http://caretobedifferent.co.uk/what-are-the-different-stages-of-nhs-continuing-care-assessment-and-appeal/ Also contact the Clinical Commissioning Group (CCG). It is CCGs who are responsible for the actual funding decisions, not the CSUs. Alyson – you mentioned that your mum has “over the threshold for support”. Her own funds are completely irrelevant when it comes to Continuing Healthcare (CHC). CHC funding decisions are based on her care needs only, not her money. (It is only local authority care that takes account of a persons own funds.) Regarding moving areas, if a person receives CHC from one CCG and then moves area, they can usually take the funding with them (funded by the first CCG). Then at the next review, if the person is still eligible, the new CCG may then take over the funding. One option could be to initially have your mum in a care home where she is currently – just to start with – and then move her later perhaps. If you want to move her immediately, I would mention this. However, regardless of what you do, the NHS still has a duty to provide and fund care should she meet the criteria – regardless of where she is. My father was placed in care after several falls. He has Parkinson’s disease. He was assessed and is now receiving Continuing Healthcare (CHC) support. However, the CHC review panel have recently recommended to transfer my Dad to a less expensive care home where he has lived for a year and now settled. Indiscrete visits from health visitors for the move have unsettled him to the extent that he has lost weight, become incontinent and suffered from falls and is confined to a wheel chair. The CHC is trying to suggest that the home is not in the LA area, but also that it is too expensive. Are these two arguments valid as regards Continuing Healthcare? If you could refer me to any legislation and/or court cases that would be very helpful. Thank you very much for any help you can provide for our family. My sister has advanced dementia, is in a Nursing Home. She is unable to communicate, is doubly incontinent, cannot feed herself, can only swallow liquidised food, has no co-ordination and requires assistance in every aspect of her daily existence. She would clearly not survive without the constant care and attention she receives at the Nursing Home. Nevertheless she has been assessed, is not considered eligible for full NHS funding but receives a Nursing allowance paid directly to the Nursing Home and the Local Authority contributes to her fees. She currently pays approximately £766.00 per month towards her care. It is difficult to see how much worse her illness can get before she is eligible for full NHS Funding. I attended her assessment, it was carried out at the request of the Nursing Home, and I felt that I was totally out of my depth and lacking the knowledge to argue with any of the decisions. I have read all of the above and many of the help documents that you have recommended but do not feel that I could contest the decision made and would require a specialist legal professional to do so. However it occurs to me that if my sister should be fully funded by the NHS but is instead being partially funded by the Local Authority, it is the Local Authority that should be charged with “fighting” my sisters case. Do they not have a legal duty to ensure that they are using council tax payers money appropriately and not using it to “subsidise” the NHS? My mum who has advanced dementia and is on “End of Life” plan has recently been deemed not eligible for CHC despite being completely bed bound, immobile, with no cognitive ability, no communication, severe weight loss, being prone to bed sores, a lot of anxiety and confusion (only visible by facial expressions). She requires 24 hour care, turning every 2 hours to prevent sores, has to be fed like a baby, and is prescribed a number of drugs that keep her in a semi comatose (calm) state. I intend to appeal. However, I find the whole process so confusing and so emotionally draining. My mum has been on “End of Life” for over 18 months – a point which the community nurse said that if she were to tell that to someone they would just laugh!! How can I be expected to deal with people who are like this at such an emotionally crippling time. I do not have the support of any other family members in this and even just speaking to the receptionist at the CHC office brings me to tears. The DST meeting was conducted by a very officious nurse from the CHC who was incredibly bossy and didn’t listen to my points of view. Ultimately she made it very clear she was in charge and held all the cards. I asked at the meeting if I could record the meeting as I found it very hard to remember clearly in such meetings and she refused to allow me. The care home assistant who was at the meeting was very sweet but clearly felt she didn’t want to say anything out of order so constantly agreed with the bossy CHC nurse even though I strongly disagreed on some points. I was not allowed to stay for the “Recommendation” bit of the meeting. I was constantly made to feel that I had no part in the process and that my points were not valid, I didn’t have the “medical” training and experience required. Yet the CHC bossy nurse and the very young and green social worker had never even met mum before let alone spent any time with her. I have been her main carer for the past 7 years, and have visited her every day in her care home since she went there 2 years ago. I cannot see how mum’s needs are classed as Social needs (which according to the letter are). Ironically if she wasn’t being looked after with strong medication so well she would have advanced and aggravated levels of Altered states of consciousness and constant bed sores. I find the whole process absolutely dreadful and am not looking forward to the next “bout”! Therese – the behaviour of some assessors and/or health and social care workers can be so staggeringly insensitive at times, not to mention unprofessional. There is a professional code of conduct that all nurses have to follow – check out the Nursing and Midwifery Council website. You can also contact the Head of Adult Care at the local authority to complain about the lack of engagement by the social worker; the social worker has a vital role to play in this: http://caretobedifferent.co.uk/nhs-continuing-healthcare-should-social-workers-be-involved/ The local authority is now, as a result, in a potentially illegal position – a point I would make strongly. I am an NHS Nurse Asessor (previous Stroke Nurse) and just wanted to give an opinion from the other side. I personally would give NHS funding to all if possible, but the Decision Support Tool asks for documented evidence, eg, Medical reports, care home notes etc of the level of support a patient requires. Families come to us and say ‘my mum had dementia, she was aggressive and needed all care’. Firstly, CHC funding is not diagnos led. Secondly, we can only show someone has that level of need by recorded evidence. If there are no documents such as care plans, risk assessments, behavour charts etc to state the level of need then we have no way of proving that level – especially in restrospective cases. We dont doubt that your family members require/ed health care support – We just have to prove it, and that it was beyond routine and above what would be expected within the remit of a nursing/residential home. Make sure you keep any documentation, letters from doctors etc, its all evidence. Families should be fully involved in checklists and DST recommendations. Only Asssesors and social workers can make a recommendation (agree the levels) but family can really input into that discussion and make your voices heard. Rachael – the issue of care notes is a major problem in Continuing Healthcare assessments, not because families want their relative to be eligible when the evidence reflects otherwise, but 1) because very often the care notes are woefully inadequate; 2) those tasked with filling in care notes each day have not been properly trained in the task in relation to Continuing Healthcare; and 3) the notes that are made often paint a very different picture to the actual severity of care needs. The many hundreds of comments on our blog reflect these and similar problems in the whole Continuing Healthcare process. Similarly, we hear many accounts from families who have sat through assessment meetings where evidence has been ignored. If there are no care plans, care notes, relevant reports available, this does not give assessors the right to simply throw out the case and move on; instead, all professionals involved in the Continuing Healthcare assessment process have a duty to raise serious concerns about why there are no notes or records – as the lack of such vital documents suggests the person needing care is (or was) at serious risk of neglect. If there are no notes, it means there is no evidence that a person does NOT qualify for Continuing Healthcare – and for the NHS to simply say that if there are no notes then there’s no funding is utterly flawed. It also potentially puts local authorities in an illegal position on account of the legal limit for local authority care. In addition, a person’s care does NOT have to be beyond ‘routine’ for the people delivering the care; nor does it have to be beyond what would be expected for the care provider to deliver. It’s the raw care needs that count – every time – whether or not a care provider finds them ‘routine’. If a person’s care has to be beyond what a care provider could cope with (in order for that person to be eligible for funding), it’s the same as saying that a care provider has to be failing to provide sufficient care. It is the whole Multidisciplinary Team (MDT) that makes a funding recommendation, not any one assessor or social worker. Such a recommendation cannot be a unilateral one by the lead assessor or coordinator; everyone’s input carries the same weight. It is absolutely vital for families to keep a diary, as you say: http://caretobedifferent.co.uk/how-keeping-a-journal-helps-in-a-care-funding-application-and-appeal/ It also, sadly, often falls to families to make sure that the MDT has gathered the correct evidence. Hi Rebecca, Just for info, yes CHC has been granted to people in their own homes. My mother has Alzheimer’s & ended up in an EMI private care home for the last 5 years of her life. She was totally dependant on the provided healthcare needs for the last few years of her life, with her cognitive powers pronounced severe by the clinical lead for the Primary Care Trust (PCT). I applied for retrospective CHC as soon as the Govt. announced a dead-line and I am only now being called for Needs Portrayal “chat” with the NHS PCT nurse, next week (19/07/2016). What should I expect from this discussion and what pitfalls must I look out for, please? I am registered general nurse, now retired, so I do understand all the terminology etc. but I want to be fully prepared. You should have a copy of the Needs Portrayal, Jill, and you need to pick up on anything that’s incorrect, misleading or missing. In my experience, Needs Portrayal documents often have gaps in them, so be alert for that. Be alert, also, for any attempts to play down care needs. My father in law has been in a care home for almost 2 years. He had one assessment over a year ago and was turned down. A few weeks back (about 4-5 weeks ago), the continuing care came to the care home to do his assessment, however, they told us they needed more tests to be done and written notes from his doctor before they could make a decision. We left that as it is and were waiting – however, 10 days ago he was admitted to the hospital with a lung infection and doctors said he would not make it back. He is now receiving end of life care at the hospital – he is very confused, delirious. My father in law is paralysed neck down and only has a few movement in his left hand (but very less). Should the continuing care people be notified of his current condition? And should have still assess him in hospital to make a decision? We have not heard back at all from the continuing care team and wondered whether they should still carry on their assessment and whether end of life care accelerates the continuing care assessment? My wife was diagnosed with 2 malignant brain tumours in 1989 and was described as more or less End of Life by the surgeon. although he did not say as much. Since then after under going several life threatening surgery and constant statements from various Doctors, Consultants, surgeons and other health professionals, the latest being January 2016, that her life could end at any time she is still here. She has also had in-patient care at a Hospice and is now residing in a Nursing home. We again are fighting to retain her CHC funding. She was Fast tracked on an End of Life basis 2012. I note from the National Framework and will ask the home to give me a written statement as follows. “Does she have healthcare needs? and Does she has Nursing Care Needs? I have to admit I struggle with this but I am determined to fight on. You note that she has been End of Life this year for 27 years,from her original surgery. I must have something right. Thank you very much for your reply and for the information which will be useful, hopefully, for us to appeal the decision. My mum has been in hospital since December, following a fall when she broke her hip. She was supposed to receive physiotherapy but has dementia and could not understand instructions and then, unfortunately, she had a severe stroke . Now She cannot swallow, speak or in fact communicate at all, has paralysis to the right side her body and is doubly incontinent, she has to be turned every two hours to prevent pressure sores and is feed through a peg in her stomach, after being feed by nasal tube for weeks. With her dementia she gets frightened and confused . She also has to have two hourly mouth care so her mouth does not dry out and obviously needs to be washed and changed regularly. She has had cancer a while ago and had a mastectomy. We had an assessment meeting, which quite frankly was a joke. We tried to put points across when they were deciding A,B, C (Low, Medium, High) on one point four out of six people said it should be marked high and the lady from Social Services said “no I think medium ” so I challenged and said how can that be when four of us agree high and she said ” it is my personal opinion but I will make a note of your comments”. We carried on making points but to no avail in most cases and when we did not challage a question (because was not required as we agreed with the findings and only challenged where necessary) the lady from NHS said, “It gets easier dosn’t it when you know what you doing!” They also said mums dementia was not an issue now, miracle cure! No, it is because she is quiet and cannot communicate so she is not as problematic, nothing has changed she still does not understand. We were called in to hospital on New Years Eve and doctors told us she is disabled and unlikely to survive. However, she did survive and a month later NHS wanted her out of hospital and said a nursing home would be suitable giving us three nursing homes to choose from where places were available. They said she would NOT be eligible to CQC only a sum of £112 from LA. They Offered to do a financial assessment but we said no because we knew mums funds were over the basic funding level, so we have to pay for the nursing home she has moved to. We have been told that the care she receives is social but we think it should be NHS funded but not sure – a) Is it Social ? b) how do we appeal if it is NHS funded? I’d like to know how long you have to have lived in a borough before being eligible for Continuing Healthcare? I’m considering moving nearer to my family. They live in a different borough/council area. I’m concerned that the move would “disqualify” me for Continuing Healthcare if I find I need nursing care in the future. In other words, is there requirement that is similar to the way you have to live in a certain council for x years before you are eligible for social housing? I’m not aware of any time constraints. You can get assessed for NHS Continuing Healthcare where you are at the moment, and if you receive it that funding it will go with you to your new area. Alternatively, you can get assessed once you move. 1. There are no time constraints. 2. However, what may be argued is that your needs (if you were deemed eligible) might have been present prior to moving, then the argument around ‘responsible commissioner’ may arise. 3. If you move, ensure you register with a new GP within the locality – this will then support the new guidance set out in The Care Act. 4. If you move, reg. with a GP in the area, your needs are stable then down the road your health declines and currently no CHC presently awarded – then the responsibility will be with the area you are deemed permanent residence’. 5. Documents to read: Responsible Commissioner, Who Pays, The Care Act & CHC, just to start with…..
My mother in law died on 24th July 2006 and we have just received confirmation after nearly 4 years that she was not eligible for NHS Continuing Healthcare. She was admitted to a care home for people suffering from Dementia after being assessed as needing EMI care on 16th July 2001. She was sometimes violent to other residents, didn’t know her family was confused and uncommunicative until her death at 96 years. The care home records which would have given a comprehensive picture of her day to day needs were destroyed 3 years after her death. Without these records they are saying that the claim cannot be progressed. I thought records should be kept for 6 years. Unfortunately the care home closed in 2011. The delay coming to their determination and poor communication has left us with nowhere to go. Do you have any advice. Linda – have they given you a written rationale for their decision? And did they send you copies of the Needs Portrayal document and/or other assessment notes that back up their decision? If not, insist on being sent these. There is an argument to say that a retrospective review of a person’s day-to-day and changing care needs is not possible, especially if the people carrying out the review did not know the person. Also, if the health and social care authoroities had done their job properly in the first place, such a review would not be necessary. Challenge the NHS on its failure to follow its own Continuing Healthcare procedures. It may show negligence on their part. Just because care home records are not available does not make a person immediately ineligible; it means the NHS cannot possibly have carried out a thorough review. My sister has been in hospital in a room by herself for 14 weeks. Her condition has been diagnosed as delirium due to a [UTI] water infection. She is paralysed down her right side due a stroke 20 years and also a diabetic.She will be transferred on Monday 15th Feb to a nursing home for 2 weeks and then supposedly , a planned move to sheltered accommodation with all safety procedures will take place. At the moment her mental capacity is very limited [ie her short time memory is not there etc ] She is very confused and I’m really concerned about the care plan. The social worker briefly mentioned CHC when explaining what was happening with my sister. It’s all down to funding but my sister’s welfare is more important than money. What advice can you give me. My mother had 2 assessments. The first before she went from the hospital to the nursing home, which was refused. Should she have had another assessment within three months of that one? My mother died a year after being placed in the nursing home. The second assessment was a retrospective one which has just been turned down. I was under the impression that I should have been invited to attend and that it should have been held at a venue local to myself. When queried with ExamWorks, who are now dealing with the case for the NHS, I was told that in a retrospective case I do not have the right to attend. Could you advise me on these two questions.